Sahti – What Can We Learn From a Farmhouse Brewer? 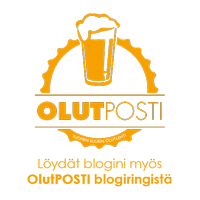 Tavanomaisesta poiketen julkaisen tämän Ny Nordisk Øl -konferenssissa Kööpenhaminassa 21.5.2016 pitämäni puheen englanniksi – maltainen.fi is a beer blog in Finnish, but with this article on Finnish farmhouse ale sahti I’m making an exception. NOTE: After writing this post I founded a site www.brewingnordic.com which concentrates on sahti and other Nordic beers. See my text Sahti and Related Ancient Farmhouse Ales for more info. I gave this presentation at Ny Nordisk Øl conference in Copenhagen on 21st of May 2016. The speak was targeted to Nordic brewers who are developing new Nordic ways of brewing but it will work as general introduction to Sahti and other Nordic-Baltic farmhouse beers as well. The information is based on research done for a book Sahti – Elävä muinaisolut which I wrote with Johannes Silvennoinen and Hannu Nikulainen in 2015 (in Finnish). Trough the ages the farmers of Nordic and Baltic countries have been able to brew beer for their own use relatively free of regulations and commercial competition. This have helped to preserve these brewing traditions in their primitive and prehistoric form to the present day. It is not certain when these traditions took shape but likely they developed during the Iron Age, before the principles of modern brewing were established in the Middle Ages. Among the well-preserved ancient ales of Europe are Sahti in Finland, Koduõlu in Estonia, Gotlandsdricka in Sweden, Maltøl in Norway and Kaimiškas in Lithuania. These beers are closely related and while I speak about sahti, many of the points apply to other Nordic-Baltic farmhouse beers as well. The areas of alive Nordic-Baltic farmhouse beer traditions. There are likely some other areas of living farmhouse beer traditions as well that I’m not currently aware of. Modified from Map of Europe with countries – single color by freevectormaps.com. Nordic-Baltic farmhouse ales are homebrews of our ancestors. Originally they were made from the ingredients of the farm for the house and villagers. Today’s farmhouse beers are not brewed exactly like in the prehistoric times but still the Nordic-Baltic farmhouse beers offer a living history show for ancient brewing techniques, displaying how fine beer can be brewed without a thermometer, stainless steel or modern brewers yeast. Farmhouse ales can be classified as low alcohol everyday beers and stronger celebration beers. Everyday beers have been part of the diet and drank by everyone, childred included. Celebration beers like sahti are brewed in quantities for feasts such as weddings. As late as 1960s, weddings in the sahti areas lasted as long as there was sahti left – often several days. Besides being a valuable piece of beer history, these old brewing techniques generate flavors which can be shockingly different from modern beers. An Estonian koduõlu master Kalju Sinijärv behind his traditional 200 litre lauter tun. Photo by Sami Perttilä. Finland has been always culturally divided into east and west. West have received more influences and immigrants from Scandinavia and the Baltics while the eastern Finland have been more under finno-ugric and slavic influence. Finnish beer traditions follow this division. Farmhouses in the west have brewed sahti while the eastern farmhouses have favored low alcohol small beers, bundled under the name kalja. Kalja is actually a varied bunch of small beers known under various different names such as taari and vaassa with counterparts in the neighbouring countries: kali (Estonia), kvass (Russia, Baltic states and Eastern Europe) and svagdricka (Scandinavia). While sahti traditions have been well-preserved, kalja traditions in Finland are largely extinct. Yet, a modernized version of kalja made from kaljamallas (dark rye malt) and sugar is served every day in many Finnish canteens and households. In the beginning of 20th century sahti was brewed widely in the western finland, west of the dashed line. The highlighted kidney shaped area shows the heartland of sahti where the ancient tradition has been preserved, comprising about 40 villages and hundreds of brewers. The tradition has also been revived in many other areas. The areas east of the dashed line were realm of kalja type of farmhouse beers. Map from the National Land Survey of Finland (CC-BY-4.0) with illustrations added by Mika Laitinen. The ingredient list of sahti is surprisingly simple. Malted and unmalted grains, juniper branches and yeast are all that is needed. Hops are occasionally used, but in insignificant quantities. Barley malt and rye in malted or raw form are by far the most common grains. Unmalted oats and wheat are sometimes used in smaller proportions. Although sahti is often seen as rye and juniper beer, neither is an obligatory ingredient. Unfortunately traditional home malting in Finland died around 1960s and now most sahti brewers use commercial malts. Some farmers have revived home malting from own grains but to my knowledge nobody malts in the most traditional way in smoke sauna’s or drying barns. In the traditional maltings smoke used to be inherent part of the malt, but present-day sahti drinkers are not accustomed to smoke. Sahti brewers at Isojoki build this heating system to malt their own grains. The heater has an optional smoking unit, mimicking the old days of smoky malts. Photo by Sami Perttilä. Kaljamallas produced by Laihian Mallas for making traditional Finnish table beer kalja. Many sahti brewers use 5-10 % share of this malt for color and smooth taste of dark rye bread. It looks like a pale chocolate malt but in beer color units it is only 180 EBC. It is a nice addition to modern beers also and I use it for example in my homebrewed rye wine. 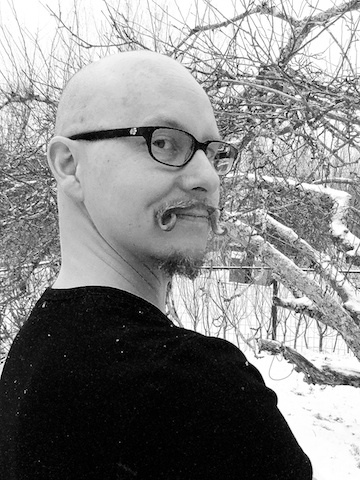 Photo by Mika Laitinen. In the old times farmhouses had house yeast strains for baking and brewing, sometimes just one strain for both jobs. Around 1900 commercial baker’s yeast started to replace the house strains and by 1950s farmhouse beers were fermented solely on commercial baker’s yeast. Although the farmhouse brewing strains have died out in Finland, there are still plenty of households using a traditional sourdough starter for baking rye bread. Some of these starters are decades or even centuries old heirlooms, passed on from generation to generation. Since house strains for baking and brewing could have been the same, I have been testing how the traditional sourdough starters ferment sahti. So far I have been able to revive one functional brewing strain from a at least decades old baking strain. This particular strain delivers surprisingly neutral malty taste. I will continue to hunt and test traditional baking strains and hopefully in future I encounter more distinctive strains. Today most sahti brewers use fresh compressed bakers yeast produced by Suomen Hiiva, shown on left. Sourdough starter from which I revived a brewing strain is shown on right. Photos by Sami Perttilä (left) and Mika Laitinen (right). Distinctive taste of juniper is not valued in modern sahti. Nevertheless, brewers pay a lot of attention how they select juniper branches for brewing. Often branches with berries are preferred and according to a modern knowledge the needles in the branches with berries have more aromatic oils. Berries are not a substitute for branches. Traditionally sahti gains its juniper flavor either from the lauter tun filter bed or from juniper infusion (branches infused in hot water). Easy modern shortcut for flavor is to add juniper branches to the mash. Modern ”boil with hops” method which became common in Europe in the Middle Ages never got foothold in the Finnish farmhouses. Although many brewers now use stainless steel equipment, the brewing practices largely follow the old ways, as if the brewing vessels were made of wood and there were no thermometers. Raw ale and boiled mash are the probably most common. Boiling the mash can be seen as a remnant from the past when the mash was heated or boiled with hot stones. In Finland there are still few brewers using hot stones. If the wort is boiled, the boil time is usually not more than fifteen minutes. Sahti master Hannu Sirén from Hartola, Finland has been brewing sahti with this kind of gear for more than 40 years. On top left he is mixing the malt with water and bottom left he is infusing the juniper branches in hot water. On right Hannu is filtering mash with a traditional Finnish lauter tun kuurna. Photos by Sami Perttilä. Fresh raw ale has an exquisite nutritious taste with a smooth milk shake like mouthfeel. Due to protein rich wort, raw ale seem to also ferment differently. Although raw ale has shorter shelf life, it could be an interesting technique also for a modern brewer. Fermentation of sahti is grounded on favoring alcoholic fermentation and suppressing souring bacteria. With both traditional house yeast strains and modern baker’s yeast souring have been and still is the most common fault in sahti. Typically sahti is fermented warm for a day or two and then transferred to a cool cellar. Often a considerable amount of residual sweetness remains and a slow secondary fermentation keeps yeast active protecting from souring. Sahti is usually served 2–3 weeks from the brewday. The shelf life of sahti is usually not more than few weeks and it is crucial to store sahti cool at all times until serving. Even half a day at room temperatures can kick off sour fermentation. The short shelf life does not trouble most brewers as sahti is typically aimed at a specific celebration but it is a major nuisance for commercial brewers. 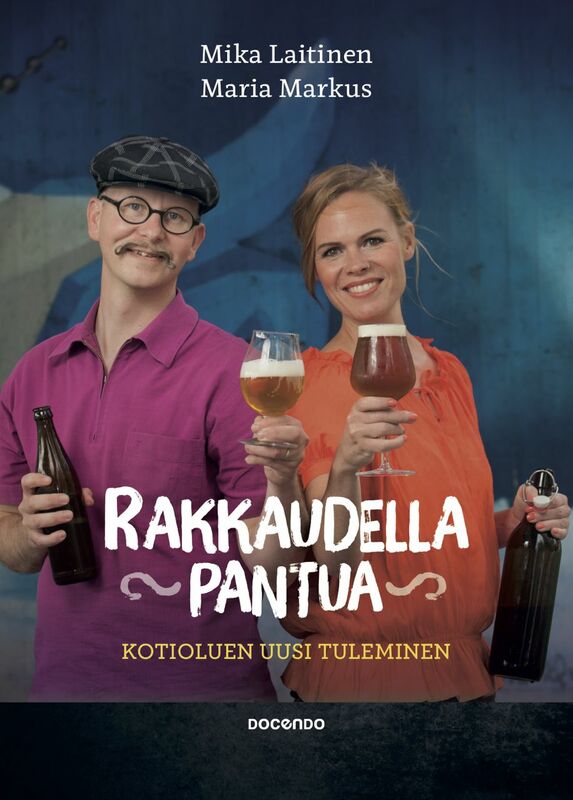 In Finland there are six commercial ”sahti breweries” specializing in the farmhouse ales. Yet, for most of them sahti is only a supplemental business. Hollolan Hirvi for example offers sahti on a side of their catering services and Sahtikrouvi combines a traditional dance hall, camping and a sahti brewpub. The biggest producer Lammin Sahti brews yearly 30 000 liters of sahti. Several Finnish craft breweries brew sahti occasionally. Short shelf life and a requirement for a cold chain make commercializing and exporting sahti difficult. Some people have suggested finding remedies but most sahti aficionados consider these inconveniences part of the tradition. Commercial production of sahti in the European Union is regulated by Traditional Specialities Guaranteed specification of EU which for example forbids the use of modern brewers yeast. Left: Dance hall and a sahti brewpub of Sahtikrouvi in Hartola. Top-right: Stainless steel kuurna of Lammin Sahti, designed and scaled up based on traditional kuura shapes. Bottom-right: the distilling unit of Lammi Sahti for distilling left over sahti’s and beers made from later runnings. Photos by Sami Perttilä. Most sahti brewer’s do not measure alcohol content or gravity but sahti is expected to be high in both, typically gravity is 19–25 Plato and alcohol by volume 6–9 %. Taste is usually sweet and nutritious due to substantial amount of residual sugars and proteins. Flavor should to be firmly malty and fresh. Sourness is a flaw. The mouthfeel is full bodied and viscous. Since Finnish compressed baker’s yeast tends to produce lots of spicy phenols and fruity esters, many sahti’s have a pronounced banana aroma. Altogether the variation from brewer to brewer is huge and classification of all sahti’s under a single beer style is questionable. Sahti is typically cloudy with a color ranging from yellow to dark brown. Sahti is not intentionally carbonated but can have some fizziness from the residual fermentation. Photo by Sami Perttilä. Even without engaging in the brewing of the traditional farmhouse beers, Nordic-Baltic farmhouse ales can offer interesting tools for a modern brewer. Juniper branches in a craft beer is nothing new, but I believe we are far from the full potential. The farmhouse yeast strains are another catch. Norwegian farmhouse yeasts known as kveik produce intriguing fruity taste and hopefully some day Finnish farmhouse bread yeasts reveal something as personal. To my mind, traditional kaljamallas can also add a nice nordic touch to a beer. I have played on a homebrewing scale with the following twists. I have brewed a farmhouse wort and fermented it in a modern way with brewers yeast. Of course, it is not sahti anymore, but it is not a typical craft beer either. Then I have fermented standard beer worts with farmhouse yeasts. Producing a sour ale from farmhouse worts is yet another potential direction. For further reading I recommend Lars Garshol’s blog articles, starting from Farmhouse Ales of Europe. The book Sahti – Elävä muinaisolut published by Moreeni in October 2015.